My four year old knows how to check soil to see if a plant needs watering. He knows how to prune a Jade plant and how to re-pot a Sanseveiria. He knows the name of plants, like he knows the names of his favorite cartoon characters. My son was born into a home filled with plants, and went on many trips to the plant nurseries when he was still in his stroller. So it is no surprise to me that he knows how to care for indoor plants at four years old. But what do you do if plant care is not part of your regular schedule in a way like it is for me? How do you sow the seeds of plant care in your little one’s daily activities? There are no plant super heroes or princesses to show young kids how cool plants are. 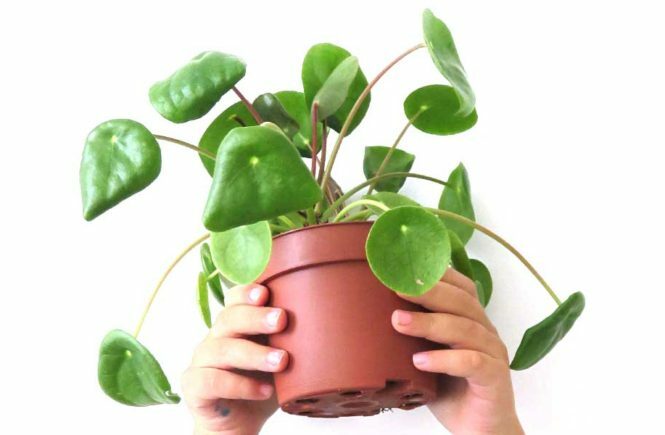 If you want your child to grow an interest in plants at an early age, there are a few things you can do. Spring is a great time of year to start getting young children interested in plants. 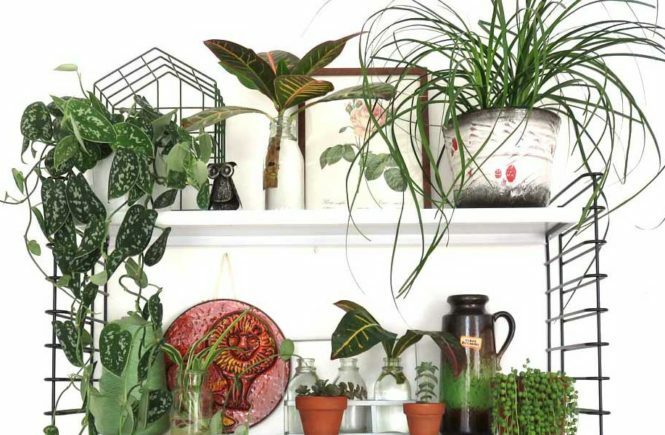 This is the time where most houseplant action happens. Introducing kids to plants when there is a lot to do and to see is way more fun than showing plants that are in their winter dormancy. Children like to learn by doing, so have your child help as much as possible. Watering is obviously something kids can do. But they can also check if it’s even time to water. Tell your child to stick a finger into the soil. Does it feel dry or is it moist? Tell about how plants drink from their roots, and when the soil is still wet there still is enough water for the plant to drink. 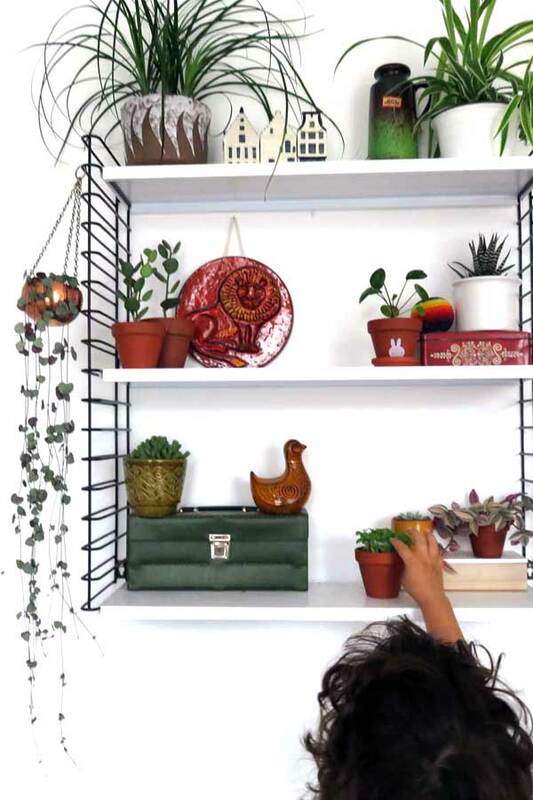 Let your child help when you need to re-pot one of your plants. 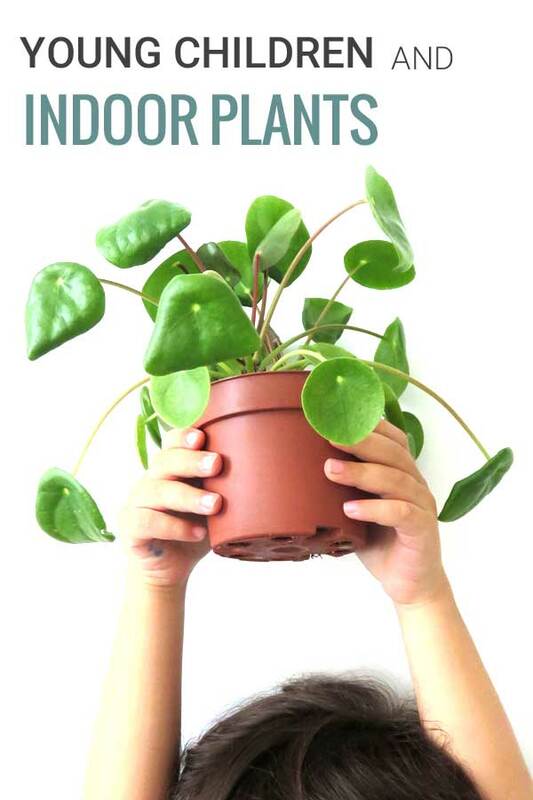 And involve your child in the growth process of the plant. Show when flowers start to appear. Be excited. Check back and show when the flowers open. When new plantlets grow from the main plant, talk about the mother plant having babies. Point out things like how the leaves look different when they are thirsty or when they have just been watered. Marvel at nature and sprinkle in a little knowledge. Let them have a plant of their own. The best way to get your child appreciate plants inside the home, is to give them a plant of their own. 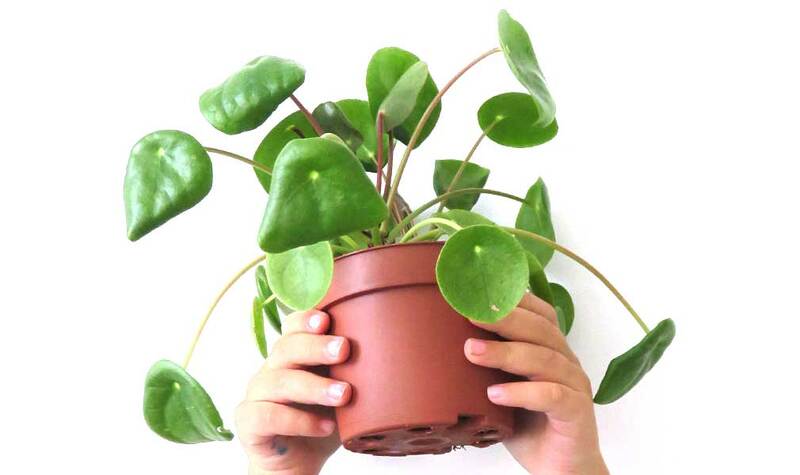 By caring for the plant over time children learn about responsibility in a playful way. Young children love active plants that they can see grow. 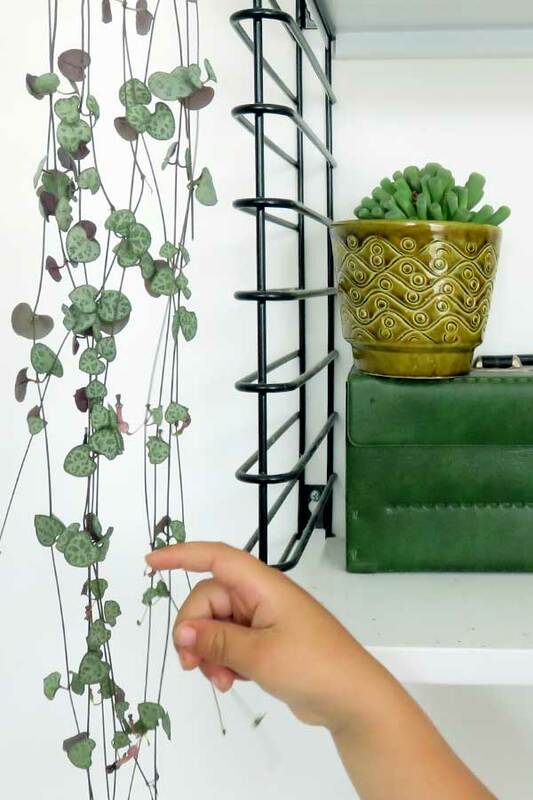 Their plant should be one that is easy to take care for and generous with leaves and flowers to keep the child’s attention over a longer period of time. That first plant at a young age can be the start of a life filled with plant love. Get young children excited about plant growth by doing water propagation experiments. Seeing roots grow in water is a sure thing to get a child’s attention. It’s easy to do, and fun to watch. Set up a little rooting station where the root growing process can be followed. 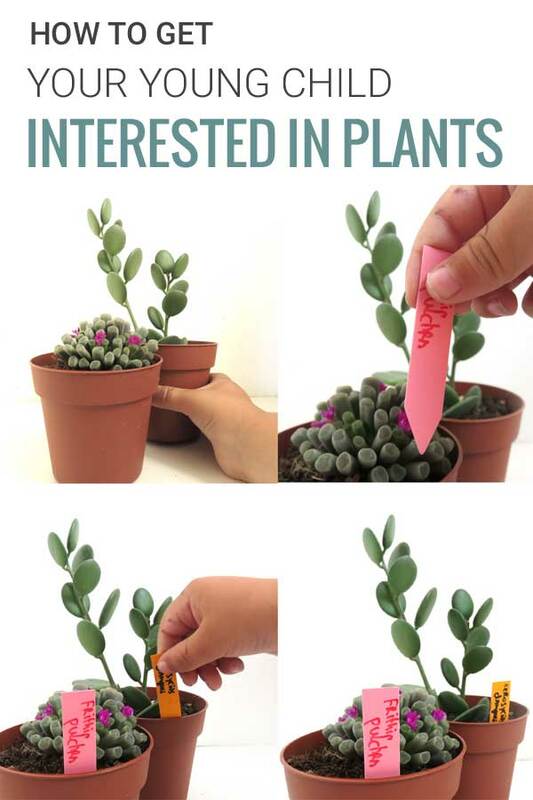 All you need is a plant cutting to propagate. Cut the cutting from the mother plant right below a leaf node (this is where the leaves attach to the stem). Insert the cutting into a clear glass jar or small vase filled with water. Make sure to trim off any leaves that come below the water. Check back regularly to see the roots that will soon appear. Maybe make photos to keep a record of how fast the roots are growing. One plant might grow roots quicker than another plant, or grow bigger roots. For best results, change the water every couple of days, and place your cuttings in bright, but indirect, light. While my little boy loves plants, I must admit there are the occasional times when I try to show him something that is happening to one of our plants, and he just looks at me like he’s a bored teenager. If this happens, just shrug it off. Care for your plants. Take some time. When there is something new to show, just let your child know. Most likely they want to see it. There’s always next time. 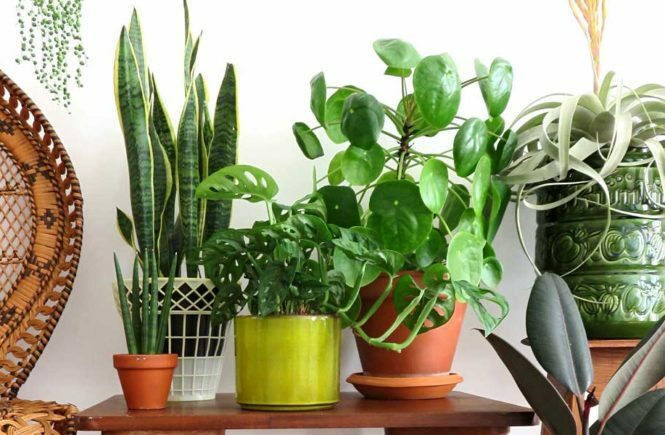 Besides that houseplants can teach an appreciation for nature to our kids, plants can also purify the air and provide oxygen. So having plants around is a score no matter what. Be aware that some plants might be toxic. If you’re worried about your child maybe putting leaves in their mouth, and or having allergic reactions, be safe and not bring in potentially toxic plants, or at least keep them out of reach. Regularly prune your plants and clean up loose leaves to prevent a choking risk. This is especially important when you have young children in the phase where they still tend to put everything in their mouth. No choking, and your plants look neat and tidy again. If you have any cacti in your home, teach your child that cacti are look but don’t touch plants. Keep them on a high shelf, so your child can’t get to it. Good post. My son got interested in plants when he found a 3D printed Charmander at a plant sale. What plants are pictured? I see one is a frithia, but what about the other one? Love a cute Charmander as a little plant friend! Yes, one is a Frithia pulchra, aka Baby toes succulent. The other is a Xerosicyos danguyi, or Silver Dollar Plant. I’m planning on doing a post on this rare but wonderful plant soon.